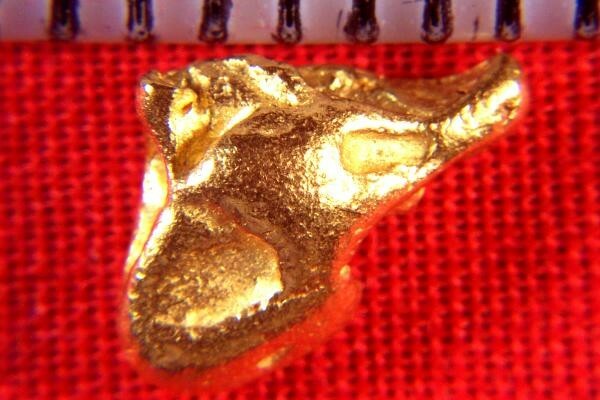 This Australian gold nugget resembles the head of a woodpecker. You may see something else, but that's what I see. 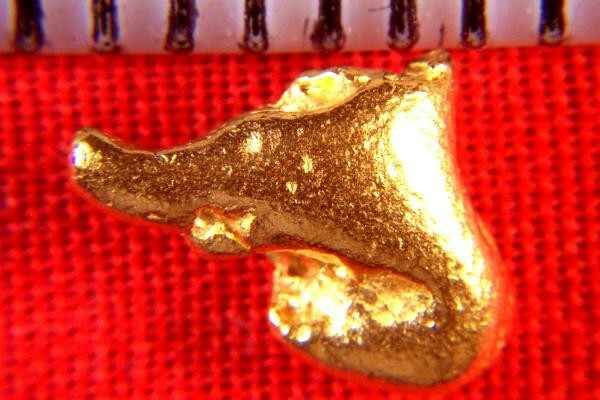 Australian gold nuggets are known for their very high purity at 92% to 98% pure (22 KT to 23 KT). Natural gold nuggets don't get any more pure than that. The size of this gold nugget is 3/8" (10 mm) and it weighs in at 25.1 Grains (1.62 Grams). The color is gorgeous. It also comes with a certificate of authenticity.